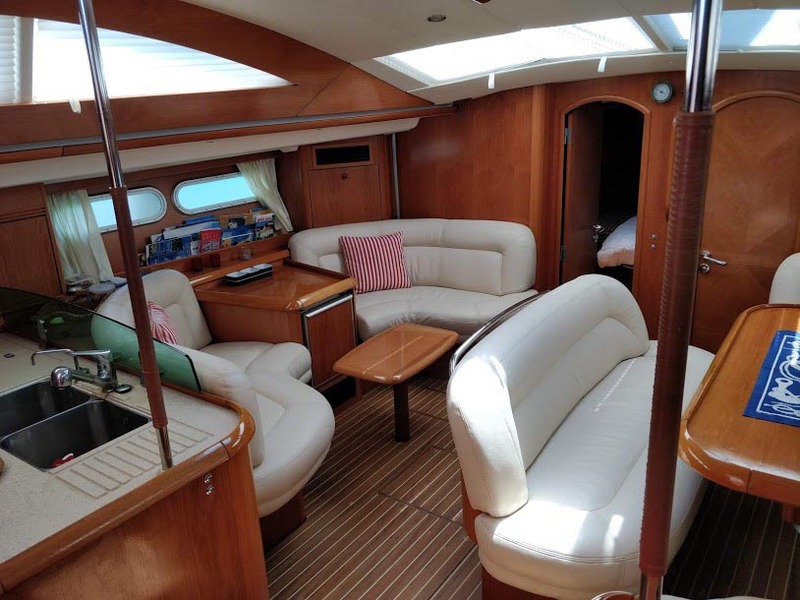 Sailing yacht LENIO provides charter guests with a spacious cockpit and comfortable teak deck space for a different sailing experience. 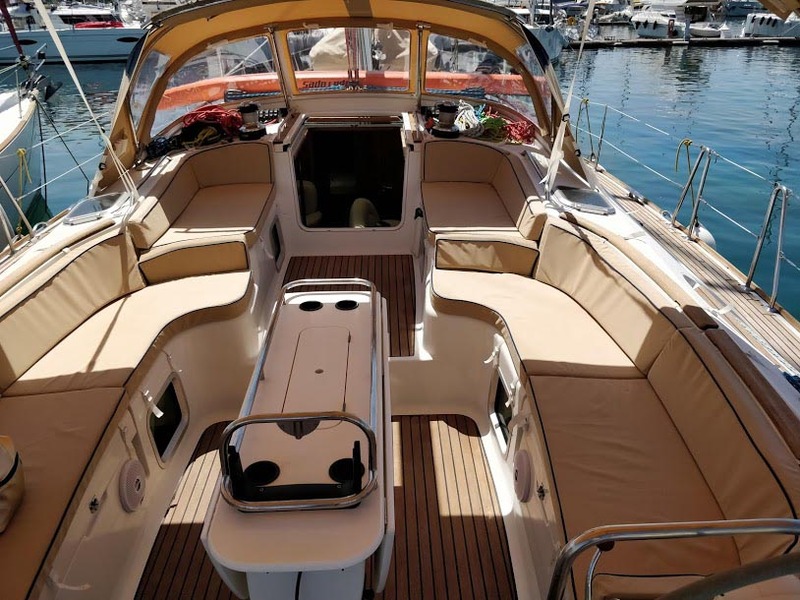 Your sailing pleasure is assured aboard this yacht, owing to her quality deck hardware and high-performance equipment. 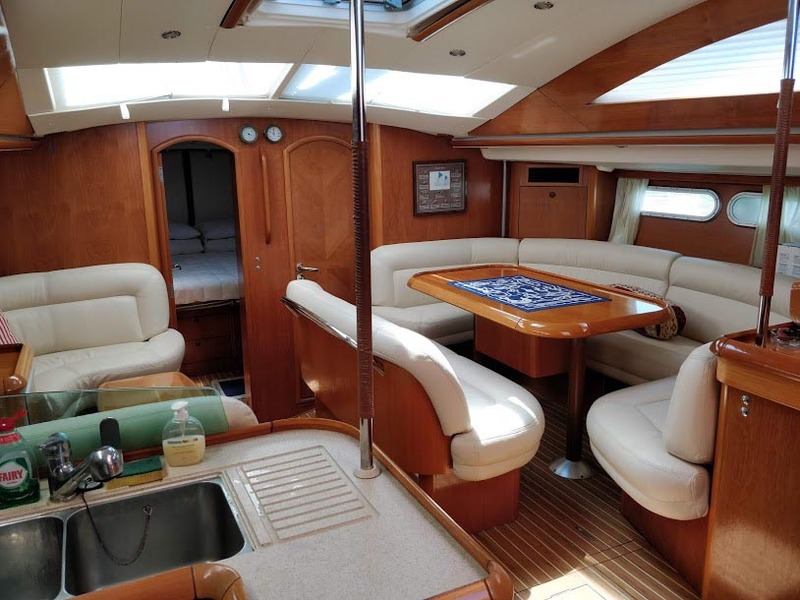 She is 17,78 m (58") in length and was built in 2004 by JEANNEAU. She has generator, air condition, teak deck and she is in excellent condition. 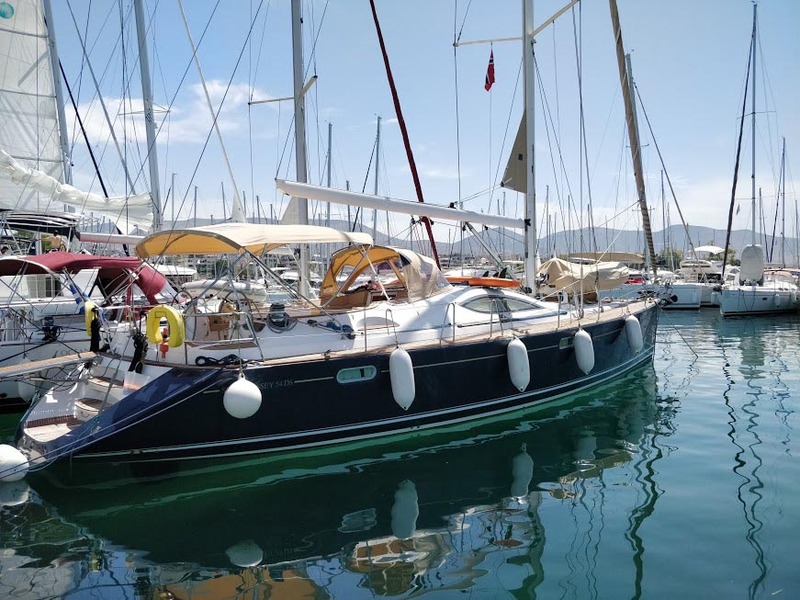 This crewed sailing yacht with excellent sailing performances and large cockpit is fully equipped for a luxury cruise in Greece. There are 4 cabins at the guests’ disposal, each with its own bathroom (shower, toilette). Up to 9 persons can be accommodated at the saloon table and there are also cushions on cockpit for comfortable sitting and resting. She has also TV and DVD in salon, radio, CD player. 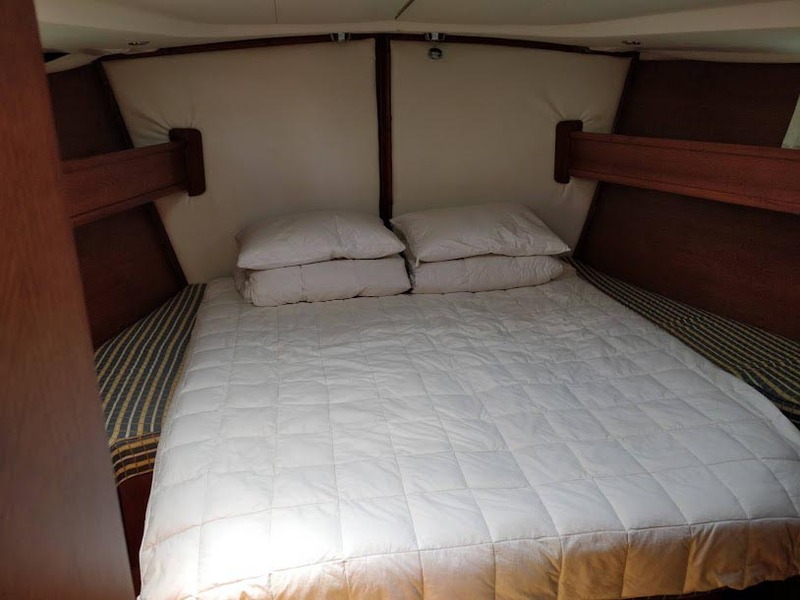 Crewed Sun Odyssey is the best choice for everyone who likes sailing and comfort on the boat. 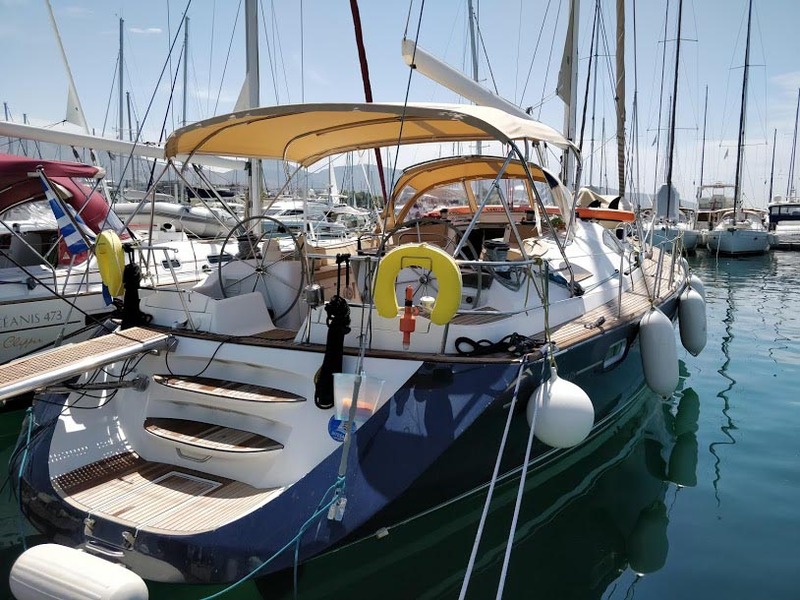 Elegance, commodity and tradition are the main qualities of Sun Odyssey, which qualities underline the provided pleasure and excellent sailing performance. The crew of sailing yacht LENIO is ready to welcome you aboard. The yacht can accommodate 8/9 guests. 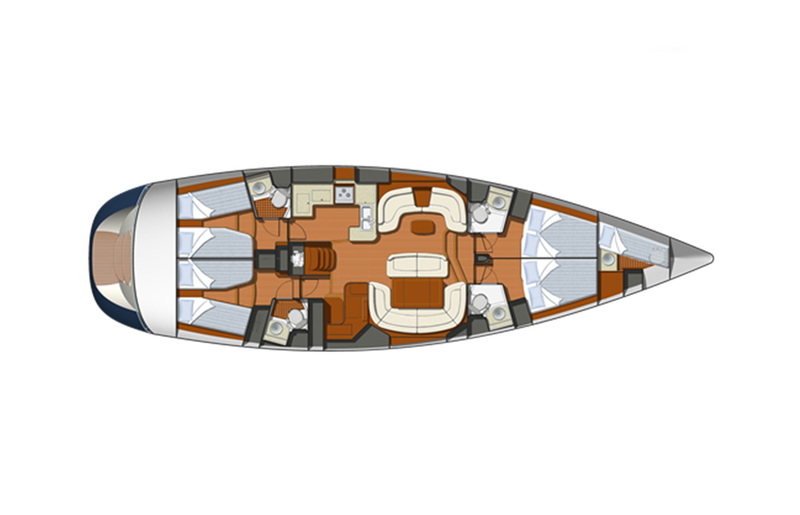 The crew cabin is located at the bow, with separated entrance, which provides complete intimacy to the guests. 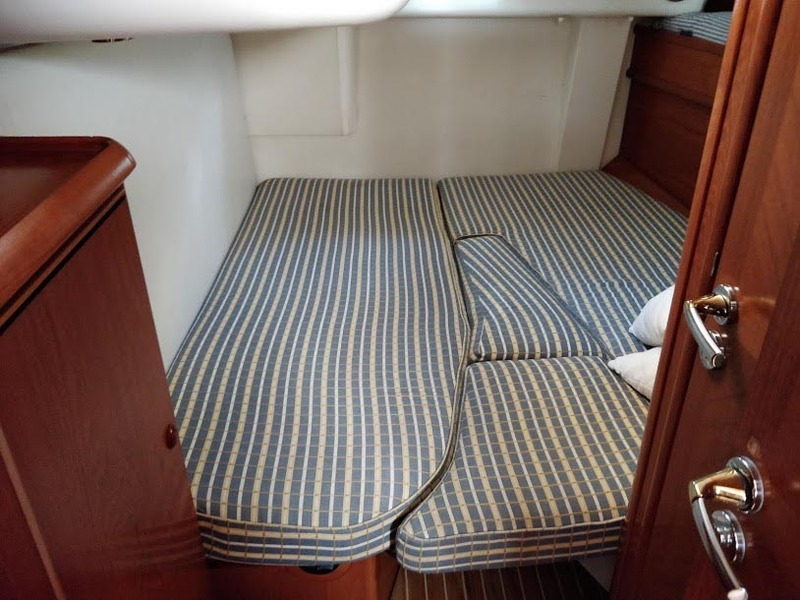 There are 4 double cabins on the boat with ensuite bathroom (shower and toilet). The spacious salon can accommodate all guests. TV, DVD, Radio CD. There is a Cockpit teak table, cockpit freezer, hydraulic gangway, Aircondition, Generator.